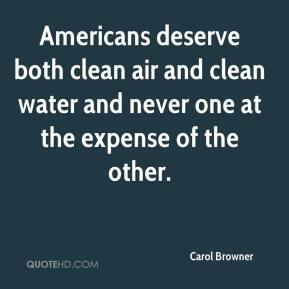 Americans deserve both clean air and clean water and never one at the expense of the other. 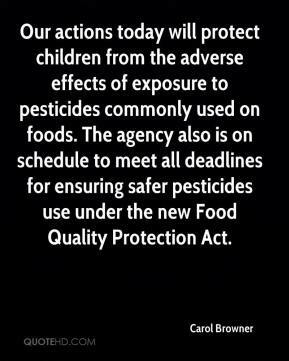 Our actions today will protect children from the adverse effects of exposure to pesticides commonly used on foods. The agency also is on schedule to meet all deadlines for ensuring safer pesticides use under the new Food Quality Protection Act. 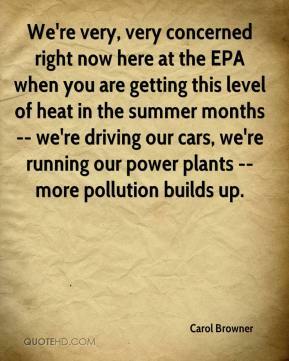 We're very, very concerned right now here at the EPA when you are getting this level of heat in the summer months -- we're driving our cars, we're running our power plants -- more pollution builds up.